A top-connected duct connection is best suited in approx. 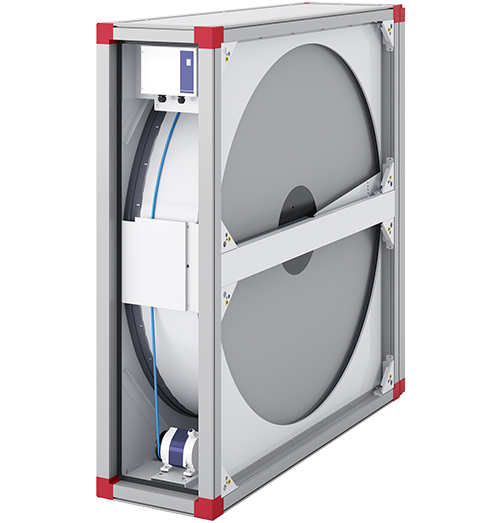 70 per cent of systems with air flow ranges up to 1.9 m³/s. Envistar Top saves up to 75 per cent of floor space compared to a traditional installation. This makes Envistar Top the most economic and energy-efficient solution for the available floor space. Envistar Top is designed to be able to pass through narrow passages. The EcoCooler cooling unit with stepless control of cooling power and cooling recovery is available as an option. 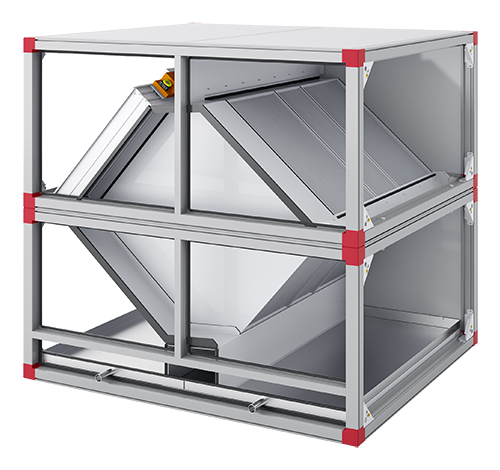 As a result, you receive a turnkey solution for ventilation and comfort cooling which does not require any outdoor installations. The range is available with an integrated cooling unit, which creates a complete solution for ventilation and cooling. This simple approach to installation means you will not need a refrigerant unit on the roof. Integrated cooling units also use a lot less energy than external cooling units. They provide a complete CE-marked cooling installation, that is always test-run and function-tested before shipping. EcoCooler is the optimal cooling unit for Envistar Top. In some buildings, air flow varies greatly while requirements for accurate control of the supply air temperature remain strict. EcoCooler meets the requirements through stepless control of the cooling power via a frequency inverter. Air that is extracted via ventilation systems often contains a lot of heat. We do not want to let this heat go to waste and aim to recover as much of it as possible. We do this by using various types of heat exchanger. We recover the heat from the extract air and use it to heat the cold air from outside. 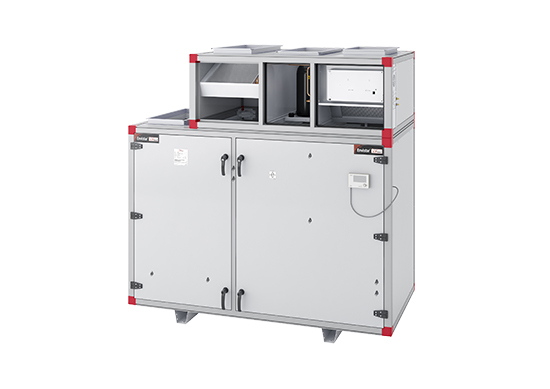 Various models of high-efficiency heat recovery units are available for the unit. The below heat recovery units are available for this particular unit. This allows us to offer the most optimal solution at the same time as protecting the Earth’s resources.